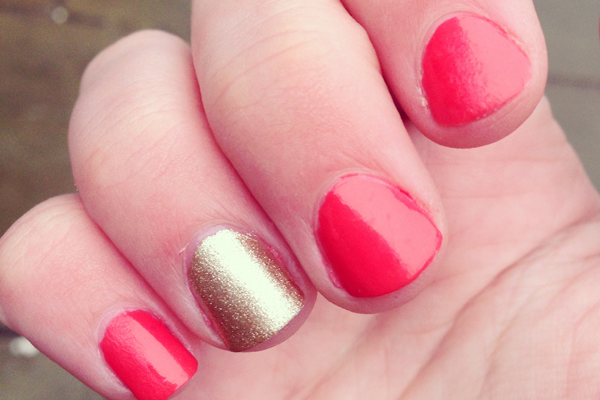 When it comes to nail polish, I have always wanted that gold glitter effect but never found the right nail polish till now. MaxFactor have a nail polish range called "MAX EFFECT" which include many beautiful colours that sparkle and even creamy finishes in multiple shades. I painted my nails Friday night just in time for the weekend and wanted a touch of sparkle with a bold look so I went for 09 Diva Coral which is a lovely Opaque Creamy Peachy Red Coral that with one to two coats followed by the amazing golden glitter polish in 01 Ivory on both ring fingers which is silky and pigmented and with just one coat you would get this bold colour as you see it in the bottle. Overall, I was amazed at how pigmented and creamy these polishes were and I will be reviewing many more colours from the range. They are small bottles and for the price you can pick up a couple and always have different colours on your nails. 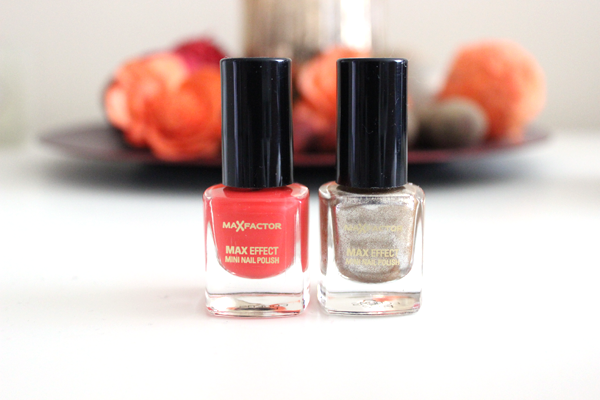 Have you tried MaxFactor's Max Effects Nail Polishes before? Share your thoughts and let me know in the comments below.